Eero Gaffney is a rare guy. I don’t think I’ve ever met a student like him. Actually, I know I haven’t. I first met Eero in grade 8. I coach Britannia’s cross country team and as I always do in the first week of September, I roam through the halls trying to entice anyone to join. The sign-up sheet taped to the skywalk doesn’t get a lot of traffic, what xcountry needs is face-to-face contact. I met Eero on one of those walks. I asked him if he wanted to join the xcountry team. He said yes and the next day became one of the best moments of my teaching career. I got to work with a kid like Eero Gaffney. He showed up to every practice, on time, shoes tied, ears open and mind clear. He never balked about the rain or the distance, the workout or the method. He loved the challenge of distance running. He loved the psychology of endurance. He appreciated the pain and suffering that can only come through dedication and commitment. He accepted the losses and the setbacks. He endured not achieving what he wished for but reluctantly understood, unlike most youth, that hard work and determination will eventually win out. He trusted that we would get better, both as coach and athlete. The athlete got better, that’s for sure, and time will have to tell if the coach actually improved. As I expected, Eero qualified for the first junior xcountry championship held in Cloverdale, BC. He literally swam through the course (the course had sections over his knees in rain water) and placed in the top third. As a team we were just delighted to be there. He was a bit disappointed but nothing a trip to Tim Horton’s couldn’t quickly erase. But through that disappointment I could tell he was taking stock of his competition, listing the names and the schools of the Vancouver athletes who finished ahead of him. In typical Eero fashion, he was mapping out his next moves. His grade 9 and 10 years were more of the same delightful student. Though far junior to all the other athletes, he quickly became our de-facto captain, always modeling the resilience and strength needed to succeed in such a grueling sport. Travelling with Eero to the provincial xcountry championships in each of those years made me appreciate the kid even more. He was always on time. Always so appreciative of the opportunity to participate and represent our school. Always spilling his guts to make us proud. It was around this time that I asked Eero if he wanted to join the Streetfront marathon team. 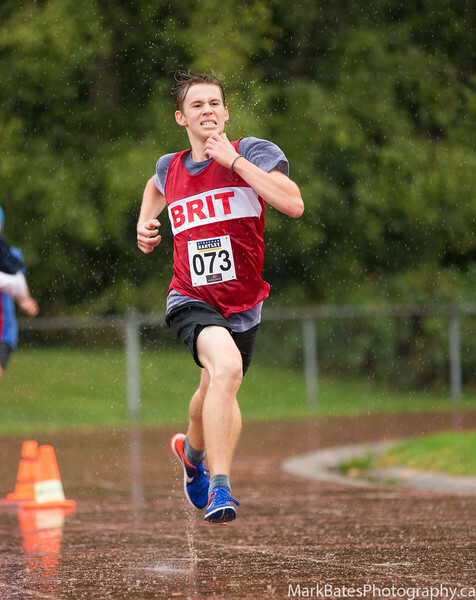 I had been working closely with so many Britannia athletes through xcountry, track and field, ultimate and basketball that I always hoped some of those non-alternative school kids would want to challenge themselves by committing to train for marathons. These very students had grown up with the Streetfront kids, went to the same elementary schools, probably were even friends at one time but as often happens, time moves on, so do kids and their lives. I wanted to reunite these students and have both groups benefit from the interaction. Eero ran his first half marathon in Vancouver in June 2015. He was 15 years old and didn’t really know what he getting into. He ran with his buddy Llewyn and giggled his way through a sub 2-hour time. Next came Seattle in late November of that year and he opted for the full marathon. Again, not knowing what to expect, he went out cautiously and finished around 4 hours. This was the moment that Eero made a profound commitment to himself, our xcountry team and our marathon program. He asked what other kind of training he could do to supplement our xcountry program. 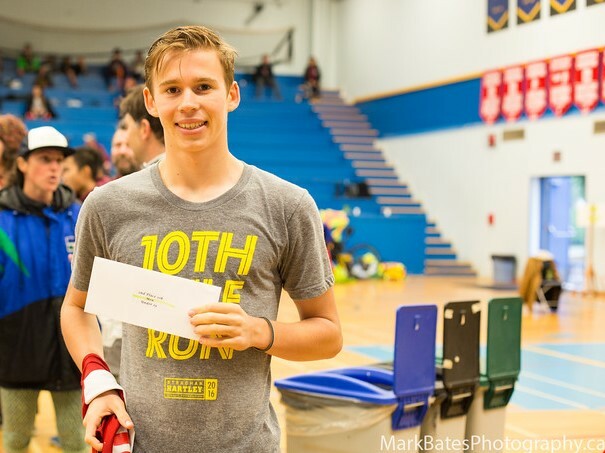 He joined an elite group of high school runners out at UBC. Started running prescribed workouts on our off days. Started hitting the gym. He was determined to achieve something special. His next marathon was Vancouver in June 2016. He went out with a different group of Streetfront marathoners and finished around 3:40. Then came Seattle the following November and he broke 3:20. For those who are not marathoners – shaving off 20 minutes in just 5 months is an amazing feat. All of this led to the 2017 Vancouver Marathon, where on May 7th, Eero Gaffney became the 1st Streetfront marathoner to break 3 hours and in doing so qualified for the Boston Marathon – the most prestigious marathon in the world. He ran it in 2:59 – shaving off another 20 minutes in 5 months of training. Since I started training kids to run marathons in 1999, I’ve always dreamed of seeing a kid of mine qualify for Boston. I knew someone would have it in them. Many of got close but none were fortunate enough to get to Massachusetts. Eero became that kid. 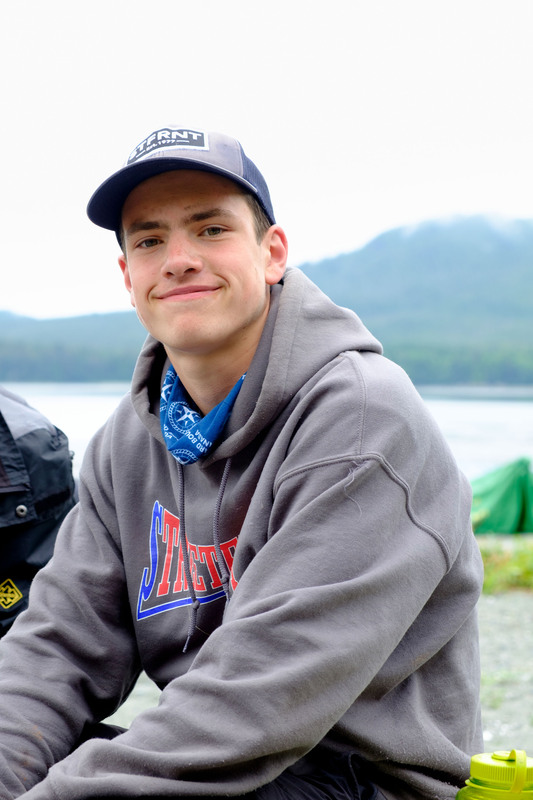 He proved to me that hard work, dedication and commitment aren’t just trite phrases I rattle off in the hopes that a kid will finish their routine 10 km training run – they are the foundation of something important. We will fly off this upcoming April 13th, with Eero, his mom’s, a few other family members to Boston to watch a Britannia student and a Streetfront alum race with other champions. He will belong with this esteemed group. He has earned his right to be there. Eero and all the other Streetfront marathoners would never have the opportunity to achieve such goals if it weren’t for the incredible support we’ve received from the SHLF over the past decade. They have single-handedly allowed us to become the world’s leading high school marathon team. They have allowed us to create the largest field study project in Canadian history (the Street2Peak Project), which Eero participated in. SHLF has changed how we view alternative school kids; their funding allows us to change the narrative of so many troubled youth, turning their tragedies into triumphs. Eero Gaffney represents all that is fantastic in this world. He will make a profound impact on everything that he touches. SHLF allowed him that place in the sun. Thanks to Eero Gaffney for making me so proud and to the SHLF for allowing us to do the work that we do. Here is another media profile on our Streetfront marathon running program.